Jang Geun Suk is always looking for unique ideas to promote himself worldwide. 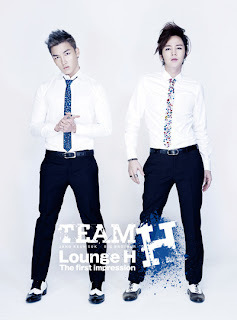 His next collaborative Japanese mini-album with Big Brother, “Lounge H The First Impression“, is no exception. This time he’s gone all out with the launching of a new cafe to promote its release! Scheduled for release on March 21st, the actor revealed that he will be opening up a cafe specifically for the album’s release to create a unique experience for his fans. The cafe is in collaboration with ‘Tower Records‘ and is situated on the streets of Shibuya. The promotional event will run from March 19th through the 25th. Fans that purchase his mini-album will receive limited ‘Lounge H’ cash and a discount on the ‘Lounge H Original Menu’ once they visit the cafe. The cafe itself is decked out in music videos and audio of Jang Geun Suk and will play his new album’s songs as BGM. Through a lottery, fans can also win the chance to receive ‘Team H’ specialized napkins, coasters, and panels. The album is a special one, as Jang Geun Suk worked on everything from the music selection, music video, and outfit concepts. “Lounge H The First Impression” is comprised of 10 total tracks.